This is a trip into the realm of dub and no one takes it there like the Doctor. 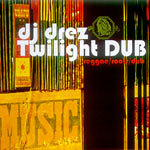 One of the dopest dub mixes we've ever heard. Turn up the bass!